In today’s quickly evolving environment, with a seemingly endless amount of choices for consumers, brands face constant pressure on prices to stay competitive. Especially with new product launches, it’s critical to balance consumer demand and margins, and offer your new product at the right price every time. 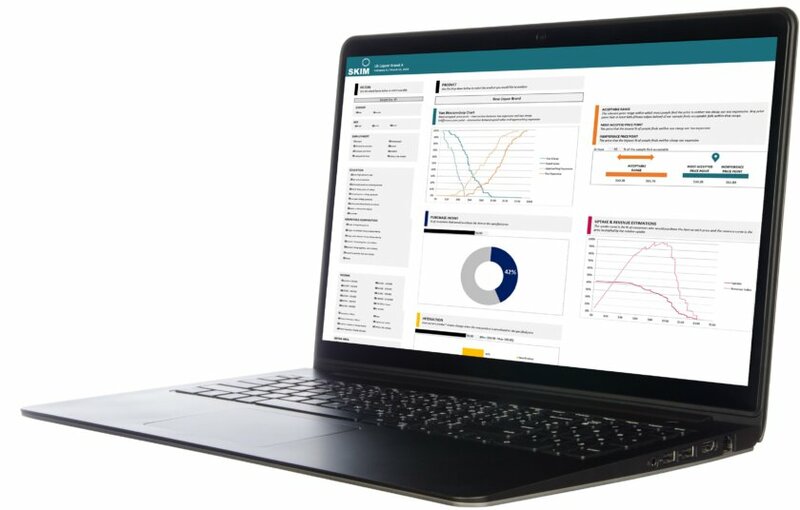 By delivering these three critical insights to brand managers, SKIM Price Explorer helps to ensure successful product launches. Can I quickly determine if a new product innovation will return margin? What’s the optimal price point for a new product I’m launching soon? I need to make rapid pricing decisions – at what price will this new product cannibalize my existing portfolio? 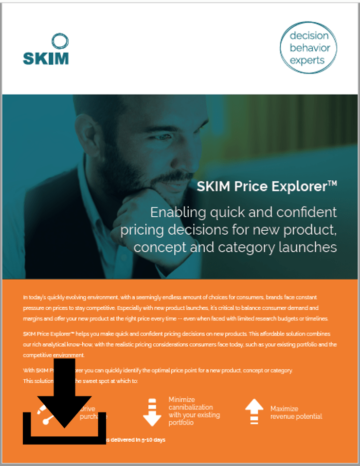 What can I expect from SKIM Price Explorer? How does SKIM Price Explorer work? 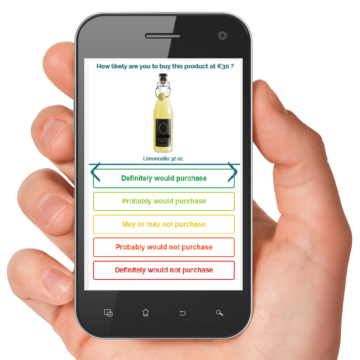 Identify current product choice at current market prices to ensure respondents consider the new introduction in context of their currently available options. Evaluate uptake and willingness to pay for the new product at different price points, using Van Westendorp or Gabor Granger pricing techniques depending on the situation. Estimate the sourcing and cannibalization between the new product and existing products for those consumers likely to buy.